If you’re after busting Yellowfin Tuna, speedy Wahoo, schools of Mahi-Mahi and leaping Blue Marlin, you’ll find them all in the waters of the U.S. Virgin Islands. Our inshore species – Barracuda, Tarpon, Yellowtail, Kingfish, Blue Runners, Bonito and Jacks- are equally as exciting, with a wide variety of hard fighting reef dwellers, many of which are delectable table fair. 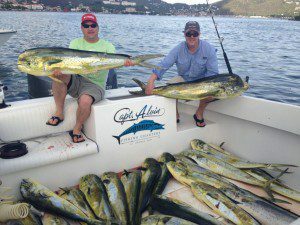 Inshore and Offshore fishing trips are fully customizable, so if there is a species you’re particularly after let Capt. Alvin know and he will do everything he can to hook you up and cross that fish off your list! Please check out our Photo Gallery and Facebook page for Capt. 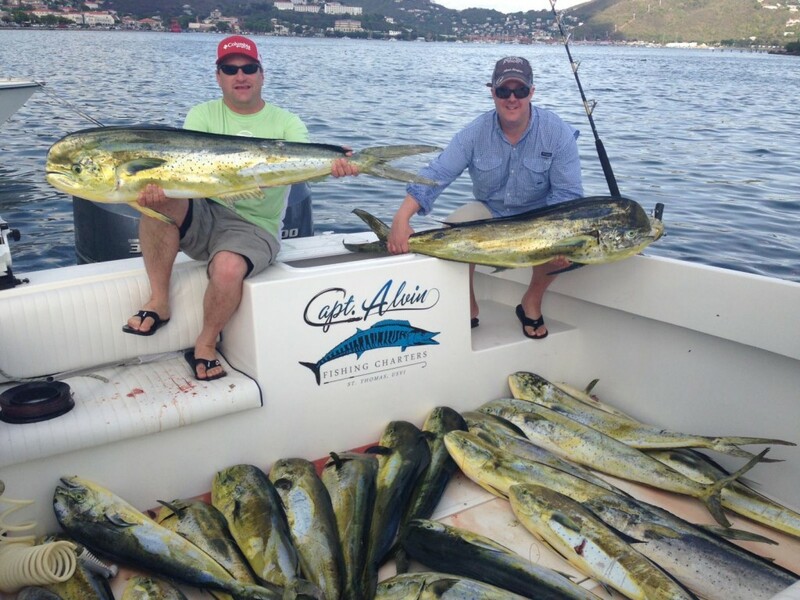 Alvin’s latest inshore and offshore catches! !